Lamb Feed Mill | Deli-Co produces 25 tons of superior quality feed per day. We have a fully operational feed mill on the farm, where we produce as much as 20 to 25 tons of superior quality feed per day. 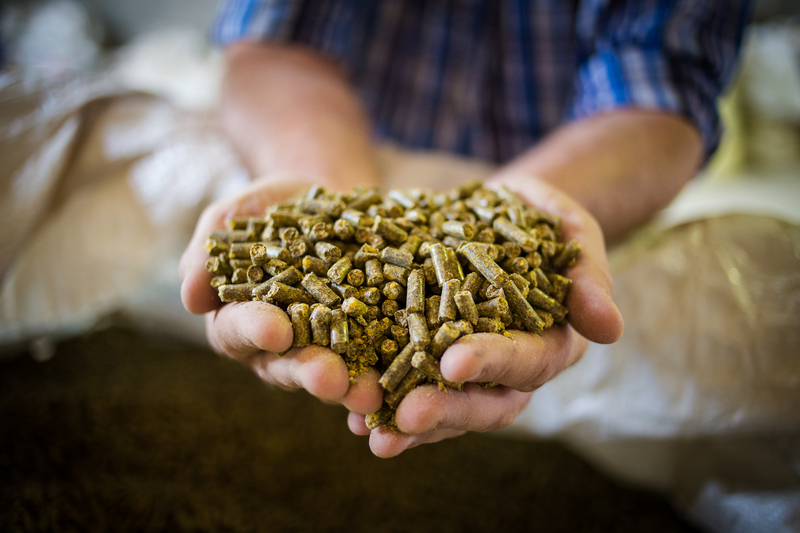 Using only South African maize and the finest raw materials, we process these crops to produce pellets for our lambs. By formulating the concentrates of the food, we also have complete control over diets of the animals in our feeding facility, which therefore gives us control over the quality of our lamb meat products.We are farmers at our core, and we pride ourselves on abiding by good farming practices. Thus the feed produced in our feed mill contains no added hormones or growth stimulants.